One of the most frequently asked questions to whom wants to spend some days in Formentera is how to arrive to this amazing island. As you should know, Formentera doesn’t have any airport so there is only one way to arrive to this island: by boat from the port Ibiza. We remind you that you can buy your ferry tickets in this website, but we tell you before how to arrive to the port of Ibiza. 1.4 How about renting a car? 3 I need a discount! Ferry travelling from Ibiza to Formentera. Es Vedrà island is at the background. Taking the Bus is the cheapest option. You can take ‘Línea 10’ (L10) BUS – you will see a bus with the word ‘AEROPORT’ in the front. 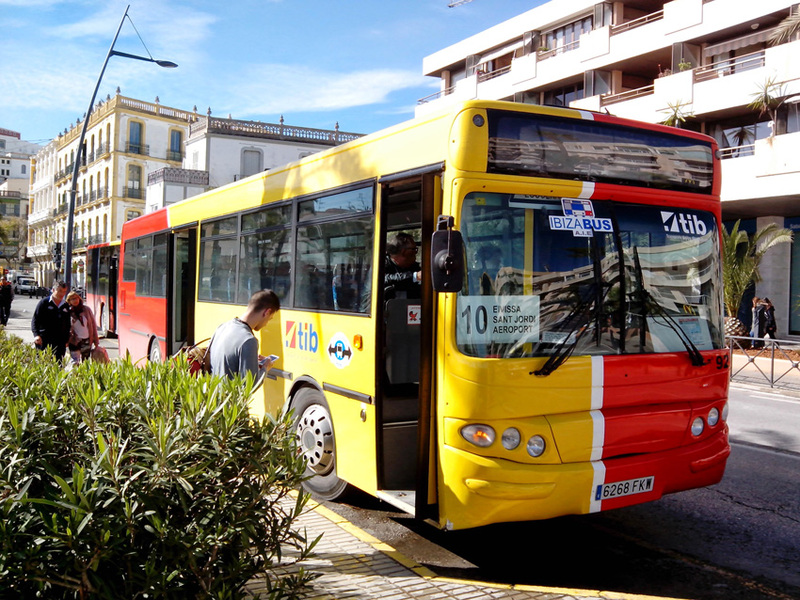 This bus line travels between the airport and the city of Ibiza, including a stop next to the port. Tickets costs 3,50 euros. The trip takes about 20-30 minutes. Taxi is one of the fastest ways to get to the port. You will see a Taxi stop when you get out of the airport. The trip takes around 10-15 minutes and the price is around 20 euros. Taxis waiting in front of the airport. 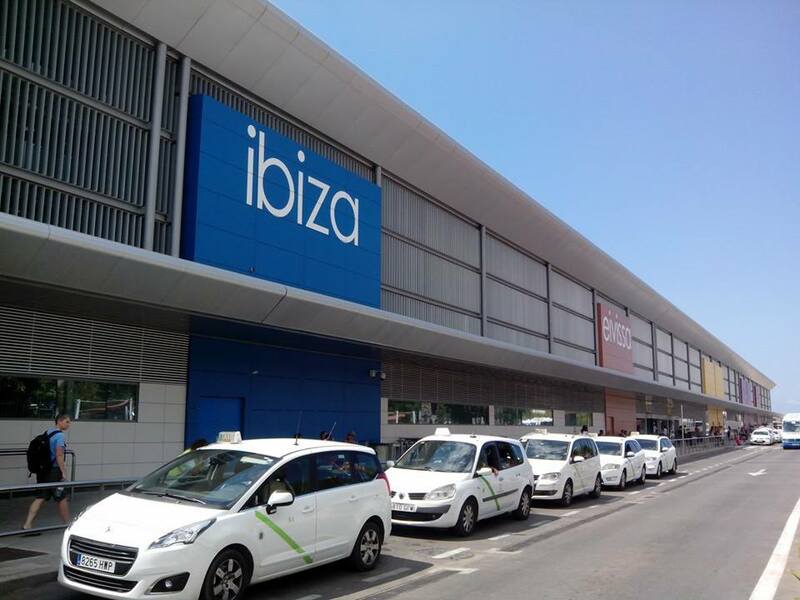 Some companies offers a private transfer service between the airport and the port Ibiza. Obviously, is the most comfortable way of doing this trip. However, as you can imagine, it is also the most expensive option. How about renting a car? This is an option for ‘Formentera noobs’: I will need a car (or a motorbike) to move around Formentera, so I will rent it in Ibiza airport and travel with it in the ferry. Well, if you select this option you may find some problems. First of all, you must check with the rental company if you can take the vehicle to another island. Moreover, taking a car with the ferry will cost about 40 euros, so it’s better to rent it directly once you arrive to Formentera. The plane is not the only way to arrive to Ibiza: you can also get to the island by boat. You may arrive from Barcelona or Denia (Valencia) to port of San Antonio (Sant Antoni). Or maybe you want to spend some days in a hotel in San Antonio and then travel to Formentera a couple of days. You can travel from San Antonio to Ibiza by bus (2,50 approximately) o by taxi (around 25 euros). 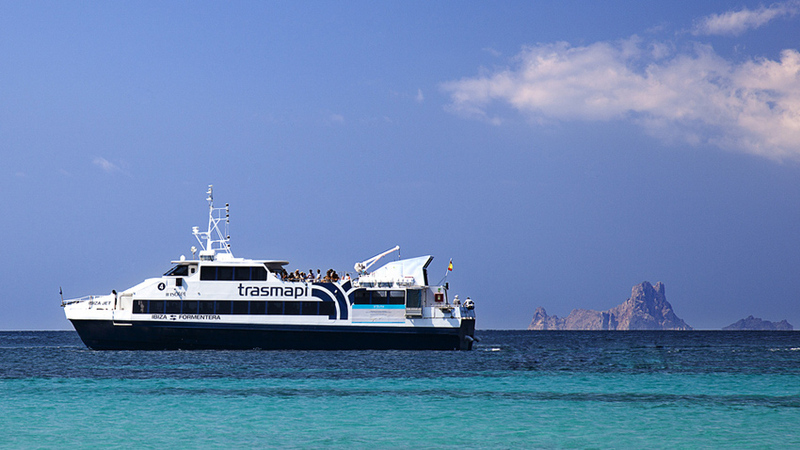 If you arrive from Iberian Peninsula to the city of Ibiza, you can take the ferry to Formentera from the same port. However, Ibiza has a big port, so maybe you will need to take a taxi from ‘Botafoc’ (the outer part of the port where big boats docks) to ‘Estación Náutica de Formentera’. The distance between both spots is about 2 kilometers. 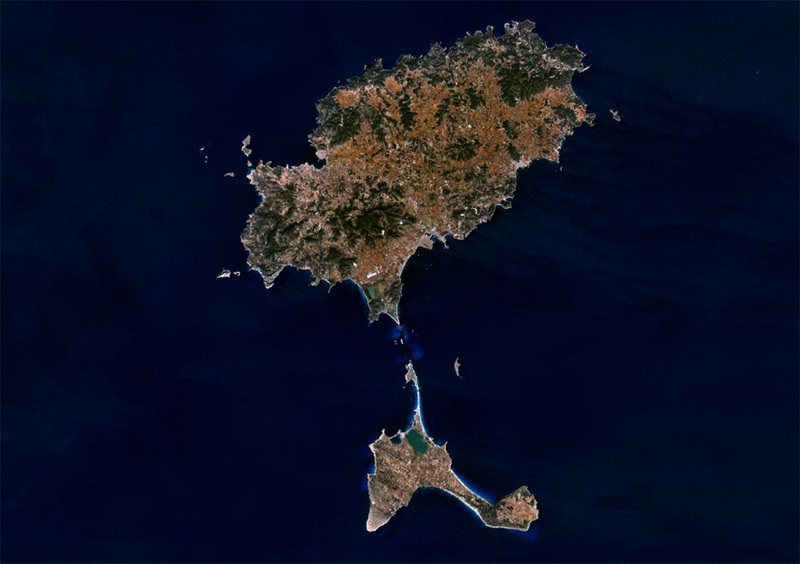 Now you know all the options you can choose once you are in Ibiza in your way to Formentera. You can buy your ferry tickets in this website and use the promotional code you will find in this link to get a discount in your purchase!